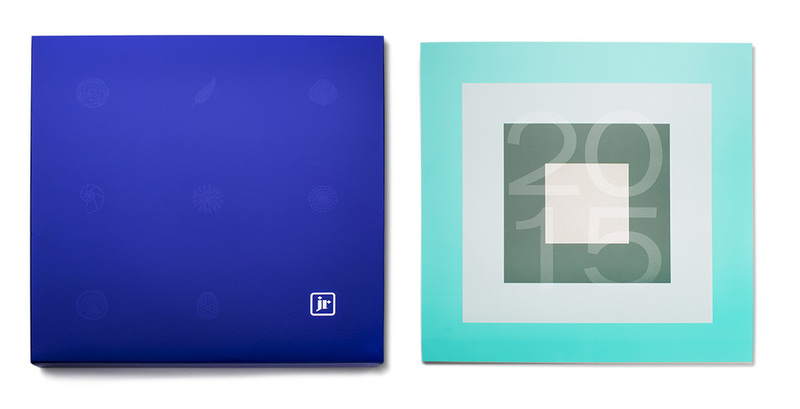 There’s perhaps no better pairing than a design agency with a skilled printer. We’re lucky to have such a partner in the talented team at The John Roberts Company. Together, we developed a promotional piece for JR that followed the dictum “don’t tell, show.” Using a variety of printing techniques, effects, colors and paper stocks—all in a gorgeous package that could be admired and shared—we helped JR demonstrate the authenticity printing can deliver when done right. Four custom dielines, twelve spot colors and ten printing techniques were used. The coating effects included: soft touch, dull varnish, scents, sandpaper texture and glow-in-the-dark ink. It's definitely something that needs to be seen and touched. 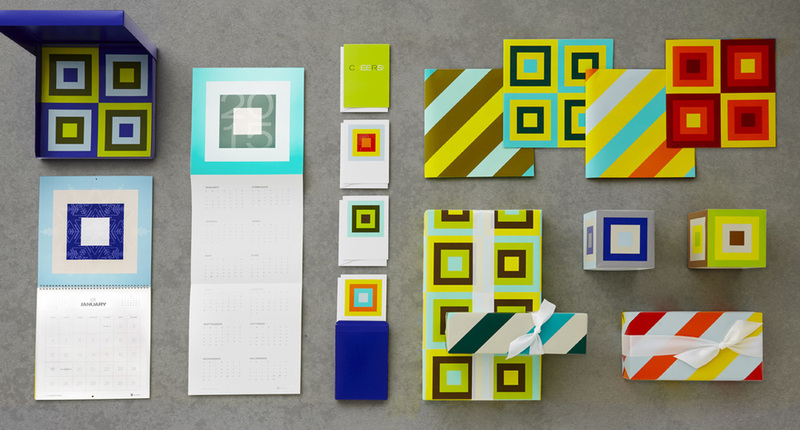 The limited-run box included a 2015 monthly calendar, a 2015 day-at-a-glance calendar, six sheets of double-sided wrapping paper and a set of greeting cards and envelopes.